Cari Printer Murah, Kencang, Awet, Dapat Diandalkan. HL-3150CDN delivers high quality printed documents efficiently. With the built-in automatic 2-sided printing feature you can print both sides of the paper, which can contribute to reducing business costs and your carbon footprint. 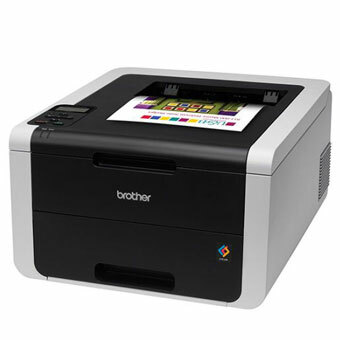 Reduce paper and toner wastage with Brother’s duplex (two-sided) printing and optional high-yield toner cartridges which effectively reduce total operating costs and lower your overall cost per print. Plus, easily produce 2-up and 4-up on a single sheet. This saves paper when viewing drafts or layouts. Featuring print speeds of up to 18ppm for both monochrome and colour, higher print speeds save time for multiple users and on large volume printing tasks. Users can utilise their time more efficiently instead of waiting for their printouts. Our new colour series delivering consistent and high quality results with sharp images and scrisp text. The toners also product a higher gloss level for more vibrancy and smoother graduation.